The issue of whether the White House leaked information to support the president’s reelection while crushing whistleblower leaks it disfavors shouldn’t be seen as just another O’Reilly v. Maddow sporting event. 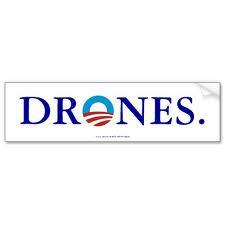 What lies at the nexus of Obama’s targeted drone killings, his self-serving leaks, and his aggressive prosecution of whistleblowers is a president who believes himself above the law, and seems convinced that he alone has a preternatural ability to determine right from wrong. In May 2011 the Pentagon declared that another country’s cyber-attacks — computer sabotage, against the U.S. — could be considered an “act of war.” Then, one morning in 2012 readers of the New York Times woke up to headlines announcing that the Stuxnet worm had been dispatched into Iran’s nuclear facilities to shut down its computer-controlled centrifuges (essential to nuclear fuel processing) by order of President Obama and executed by the US and Israel. The info had been leaked to the paper by anonymous “high ranking officials.” In other words, the speculation about Stuxnet was at an end. It was an act of war ordered by the president alone. Now, everyone is upset about the leaks. It’s already a real Red v. Blue donnybrook in an election year. Senate Democrats blasted the cyberattack-on-Iran leaks and warned that the disclosure of Obama’s order could put the country at risk of a retaliatory strike. Republican Old Man and former presidential candidate Senator John McCain charged Obama with violating national security, saying the leaks are “an attempt to further the president’s political ambitions for the sake of his re-election at the expense of our national security.” He called for an investigation. The FBI, no doubt thrilled to be caught in the middle of all this, dutifully opened a leak investigation, and senators on both sides of the aisle are planning an inquiry of their own. For everyone else working to create Jefferson’s informed citizenry, it works very differently, even at the paper that carried the administration’s happy leaks. Times reporter Jim Risen is now the subject of subpoenas by the Obama administration demanding he name his sources as part of the Espionage Act case against former CIA officer Jeffery Sterling. Risen was a journalist doing his job, and he raises this perfectly reasonable, but increasingly outmoded question: “Can you have a democracy without aggressive investigative journalism? I don’t believe you can, and that’s why I’m fighting.” Meanwhile, the government calls him their only witness to a leaker’s crime. James Spione, an Academy Award-nominated director who is currently working on a documentary about whistleblowers in the age of Obama, summed things up to me recently this way: “Beneath the partisan grandstanding, I think what is most troubling about this situation is the sense that the law is being selectively applied. On the one hand, we have the Justice Department twisting the Espionage Act into knots in an attempt to crack down on leaks from ‘little guys’ like Thomas Drake and John Kiriakou, while at the same time an extraordinarily detailed window into covert drone policy magically appears in the Times. Here is the simple reality of our moment: the president has definitively declared himself (and his advisors and those who carry out his orders) above the law, both statutory and moral. It is now for him and him alone to decide who will live and who will die under the drones, for him to reward media outlets with inside information or smack journalists who disturb him and his colleagues with subpoenas, and worst of all, to decide all by himself what is right and what is wrong. The FBI, CIA, and NSA are concerned about our First Amendment rights. That’s why they target people who are critical of the government’s failed and corrupt policies or who protest against a power structure which serves the interests of America’s oligarchs, i.e. the military-industrial-complex and the banking elite, among others. America has become like one of those Third World banana republics that we criticize. Soon this plutocratic government will lock people up in insane asylums and pump them with mind-altering drugs for the crime of speaking the truth, or worse, ‘suiciding them’ like China does. We’re certainly far removed from a Democracy at this point. Big money has bought it. … and all this from a self-proclaimed “constitutional law professor” and Nobel Peace Prize recipient. You couldn’t make this stuff up! Here we go the ugly and the lunatic Rupert Murdoch pushes Tony Blair into invasion of Iraq, So who is behind State department for the war and invasion of Iraq? I’ll take Despots for $2k.